Frozen in time. Do you remember the Matrix? You know, the bullet scene and all. I wish I could change the perspective here and show you the street dancer from different angles. 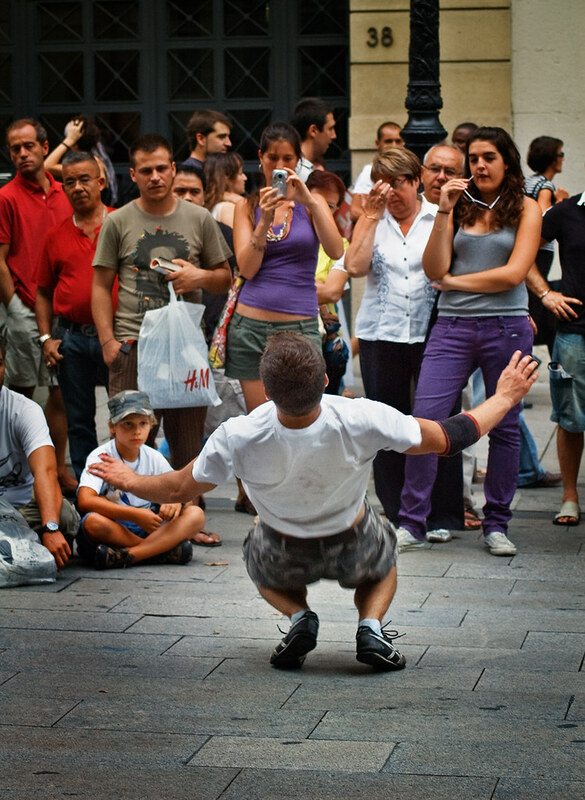 If you like street dancing, hip hop, want to see a freeze or are just curious about the image, please visit previous post: Urban Street Dance in Barcelona. I get it...it's like he's frozen while dodging the bullet--cool shot!